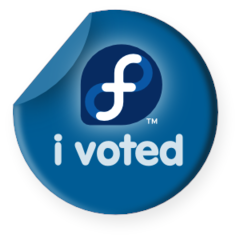 Being a Fedora user and much more it gives great pleasure that from time to time I get to vote on it's final release name. This time the choices are not so great, but I still managed to pick two : Gloriana and Goddar. The first because it is a cool nick name for a Queen, and the second just because it sounds different from the all others in the list. So remember to vote !